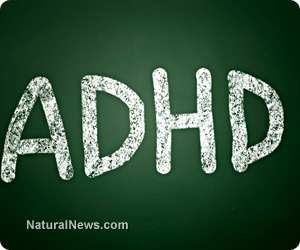 (NaturalNews) If you or someone you know has a child that has been diagnosed with attention deficit hyperactivity disorder (ADHD), chances are the child is actually just fine. At least this is what the "father" of ADHD, Leon Eisenberg, would presumably say if he were still alive. On his death bed, this psychiatrist and autism pioneer admitted that ADHD is essentially a "fictitious disease," which means that millions of young children today are being needlessly prescribed severe mind-altering drugs that will set them up for a life of drug addiction and failure. As explained by The Sons of Liberty host Bradlee Dean, who also writes for The D.C. Clothesline, ADHD was merely a theory developed by Eisenberg. It was never actually proven to exist as a verifiable disease, despite the fact that Eisenberg and many others profited handsomely from its widespread diagnosis. And modern psychiatry continues to profit as well, helping also to fill the coffers of the pharmaceutical industry by getting children addicted early to dangerous psychostimulant drugs like Ritalin (methylphenidate) and Adderall (amphetamine, dextroamphetamine mixed salts). "ADHD is fraud intended to justify starting children on a life of drug addiction," said Dr. Edward C. Hamlyn, a founding member of the Royal College of General Practitioners, back in 1998 about the phony condition. Adding to this sentiment, psychiatrists Peter Breggin and Sami Timimi, both of whom oppose pathologizing the symptoms of ADHD, say that ADHD is more of a social construct than it is an objective "disorder." The purpose all along for pathologizing ADHD symptoms, of course, was to generate more profits for the drug industry. According to the citizen watchdog group Citizens Commission on Human Rights International (CCHRI), roughly 20 million American children today are taking dangerous, but expensive, psychiatric drugs for made-up behavioral conditions like ADHD. And another one million or so children have been blatantly and admittedly misdiagnosed with phony behavioral conditions for which psychiatric medications are being prescribed. "Remember, there are two ways drug companies can make money: Invent new drugs, and invent new diseases already invented drugs can treat," writes Dr. Jay Parkinson, M.D., M.P.H., about the fake disease-creation industry. "In the past decade or so, Big Pharma has created no less than 10 new novel drugs per year," he adds, noting that many of the people who have been told they suffer from ADHD actually suffer from "the consequence of bad design," meaning a conventional social and educational system that is unable and unwilling to recognize unique individuality. This is definitely true for Jacob Barnett, the 14-year-old autistic genius whose mother was told that her son would probably never read or write. Today, Jacob is already working on his Master's Degree in quantum physics while most of his peers are still in junior high. He is also currently developing his own original theory in astrophysics, according to recent reports. "The psychiatric/pharmaceutical industry spends billions of dollars a year to convince the public, legislators and the press that psychiatric disorders such as Bi-Polar Disorder, Depression, Attention Deficit Disorder (ADD/ADHD), Post Traumatic Stress Disorder, etc. are medical diseases on par with verifiable medical conditions such as cancer, diabetes and heart disease," explains CCHRI. "Yet unlike real medical disease, there are no scientific tests to verify the medical existence of any psychiatric disorder."